Indian Prime Minister Narendra Modi recently announced that the Person of Indian Origin (PIO) Card has been merged into the Overseas Citizen of India (OCI) Card scheme. Thus, effective as of mid-January 2015, the PIO category is now closed to all new applicants and transitional measures are in place for those individuals currently holding PIO status. In order to understand the implications of such a merger, it is important to understand the differences between the two long-term statuses. While both schemes were aimed to promote easier entry and stay within India for the Indian diaspora around the world, there were several key (and frequently misconstrued) differences between the two categories before the merger came into force. Often considered the more “desirable” permit, the OCI Card conferred lifelong work, residence, and certain political benefits to former Indian citizens or foreign nationals whose parent or a grandparent held Indian citizenship. First implemented in February 2005, the OCI Card served as India’s solution to offering a status close to that of dual citizenship (for which their constitution does not allow). OCI Card holders are exempt from having to register at the local Foreigners (Regional) Registration Office (FRRO) regardless of the duration of their stay in India. However, it should be noted that an OCI Card does not provide the same rights as that of Indian citizenship, including, but not limited to, restricting OCI Card holders from voting, holding political office, etc. On the other hand, the PIO Card conferred fewer (although still lifelong as of September 2014) work and residence benefits to a wider group of eligible individuals, including former Indian citizens, foreign nationals with a more distant Indian lineage (up to great-grandparents), as well as spouses and children of current Indian citizens. Although granted lifelong entry and exit privileges, PIO Card holders were still required to undergo registration formalities through the local FRRO. Citing long-standing confusion and inconsistent issuance, the government’s decision to merge the PIO Card scheme into that of the OCI Card scheme has been met with an overall positive response. All individuals holding PIO Card status at the time of the merger were automatically granted the benefits, rights, and guarantees of the OCI Scheme. Individuals with a PIO Card will be considered OCI Card holders regardless of if they continue to hold the physical PIO Card (see Transitional Measures section below for details). All applicants wishing to apply for a PIO Card must now meet the (new) eligibility requirements for, and apply under, the OCI scheme. All OCI Card holders (including former PIO card holders) are eligible to apply for Indian citizenship if they stay within India for at least one (1) year within the five (5) year period after obtaining the OCI status. For former PIO Card holders, this timeline began in mid-January upon their automatic obtainment of OCI status. Holders older than 50-years-old: Required to update their OCI card once after obtaining a new passport after turning 50-years-old. Children born outside of India to two parents who are Indian citizens are now eligible to apply for an OCI Card regardless of whether their parents are eligible for the card themselves. Foreign spouses of Indian citizens or OCI Card holders will be eligible for an OCI Card after two (2) years of marriage (increased from the previous requirement of only one year of marriage). The OCI Card of the foreign spouse will be cancelled, however, if the marriage is legally dissolved.  The OCI category is now open to citizens of Afghanistan, Bhutan, China, Iran, Nepal, and Sri Lanka. These 6 nationalities were previously banned from the scheme. Pakistan and Bangladesh nationals remain ineligible to apply for an OCI Card, most likely due to continuing political tensions between the countries. Applicants with pending, but not approved, PIO card applications – will likely have their applications returned by the Indian authorities with the request to re-apply through the OCI scheme. Although this merger does not necessarily affect a large group of assignees for many global companies, it is still important for employers to take note of the change for both current and future PIO & OCI Card holders. The “new” OCI Card is now available to additional nationalities and other eligibility factors have been eased as well. Employers who do have PIO and OCI Card holders (or employees and/or dependents applying for an OCI Card for the first time) should take careful note of the new eligibility guidelines and minor process changes to the scheme. Finally, while individuals holding a PIO Card at the time of the merger do not need to obtain a physical OCI card to gain the benefits of this program, employees and their dependents may wish to do so. Please contact your Pro-Link GLOBAL Immigration Specialist should your company or your employees wish to update their physical card and passport stamp.